As we enter December, the holiday spirit surrounds us all! Decorating your home for the holidays is such a big part of getting into the holly jolly mood. 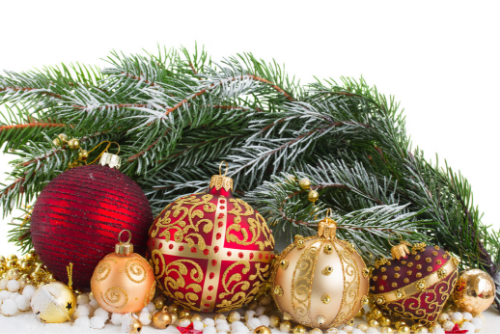 But, how do you stay on trend while still creating the warm feel of Christmas in your home? 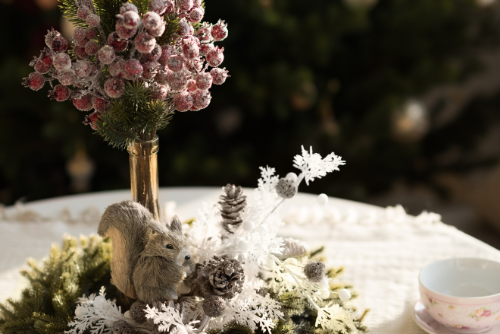 We asked the owner of Georgia Home Staging and HGTV Stager, Pat Shankle, for some tips transforming your home into a winter wonderland. 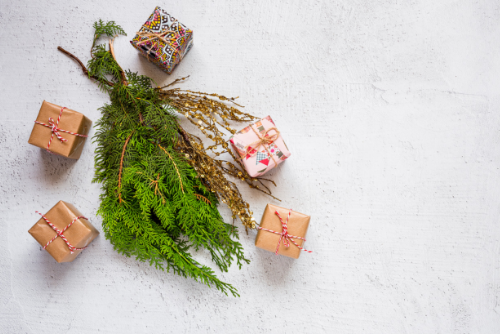 This 2018 holiday season is seeing two major trends with year: wreaths and evergreen tree branches. Now you may be thinking that wreaths just go on your front door. This season you'll want to think bigger! Wreaths allow you to bring in different textures, colors, and themes. Add faux fur wreaths in your doorways for a modern take on the traditional wreath. Opt for neutral tones like white, ivory, and beige so that you can transform its style with all of you holiday decor. The quintessential Christmas wreath is the classic boxwood wreath. Change it up by adding smaller boxwood wreaths to your tablespace. 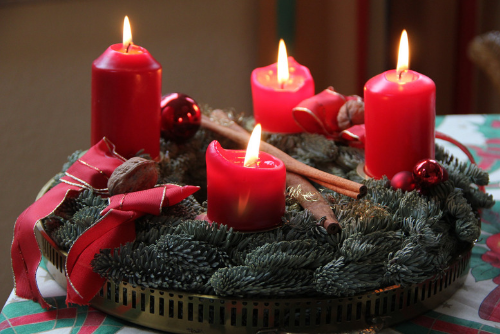 You can mix in colors and layers by adding ribbon, candles, ornaments, and more! Think of these wreaths as pieces of art to hang directly on your walls, mirror, or over mantles. 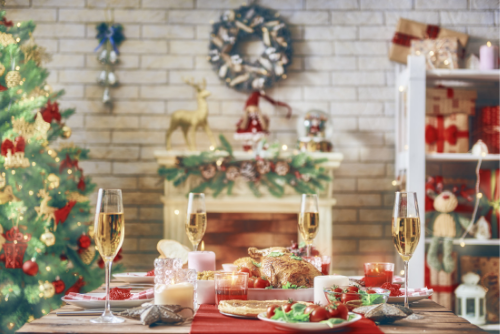 Hosting a holiday party this year? 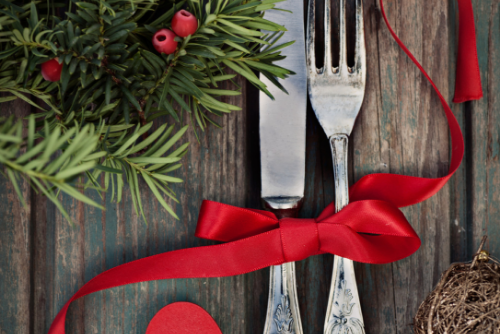 Add to your table by place min evergreen wreaths to the back of your chairs. Adding ribbons and accents that match the rest of your decor make this such a fun way to dress up your dinner party. Create a whimsical wreath chandelier with dangling ornaments. This is perfect for kid's rooms! One of Pat's FAVORITE tricks is to have one large grapevine wreath that can be transformed from season to season with simple removable accessories. Incorporating evergreen branches is such a great way to add to any holiday display! You can pick up fresh evergreen branch at any Christmas tree lot or farm. Flex your DIY skills with these tips! Twigs can be used natural, or you can easily spray paint them white for a more modern look. Wrap small twigs around votives and tie it all together with twine. These would also be great on any tablescape! For a stand-alone piece gather your extra large branches in an urn, wrap them in thin, wired lights, and dangle dainty ornaments around the branches. This would be perfect for your front porch or even a guest room. Create a "bucket Branch Tree" by adding large branches in a metal florist bucket! You can always add a burlap bow to the bucket as well! This works great with both painted branches and natural branches. Tie a few of your small twigs with ribbon or twine and place them in the center of each place setting at your table for a special touch.